Fertile, Minnesota (December 26, 2014) -The traditional season opener for Christian Brothers Racing cross-country riders takes place on a frozen lake located about about four hours North of Minneapolis. While the location is remote, the drama and competition at the Gerald Dyrdahl Memorial Pine Lake is as intense as you'll find in any form of racing anywhere. With little snow, the 11-mile course laid out on Pine Lake near Gonvick, Minnnesota, was pure ice lemans racing with twisty turns broken up with wide-open straightaways. 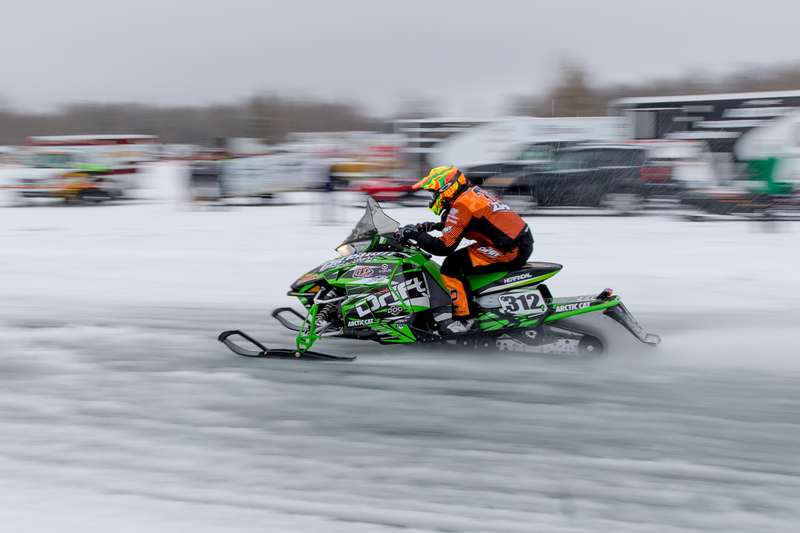 Sled setup is key at Pine Lake, and Christian Brothers Racing's Zach Herfindahl came prepared in the Pro Open class, taking the win in the five-lap, 55-mile race and setting a blistering fast lap of 8:30.145, over six seconds faster than second place. In fact, Herfindahl's fast lap in Pro Open was the fastest lap of weekend. In Pro 600, Herfindahl won one of the qualifying races and finished 7th in the other earning a spot on the front row for the heads-up start. A total of 23 riders divided into four starting rows took to the line to start the 9-lap, 100-mile race. On green, Herfindahl slotted his DRIFT Racing Arctic Cat into the Top 5 and remained there for most of the race, even leading briefly after the mandatory fuel stop. After 100-miles of grueling ice racing he earned a 4th place finish, one spot off the podium. 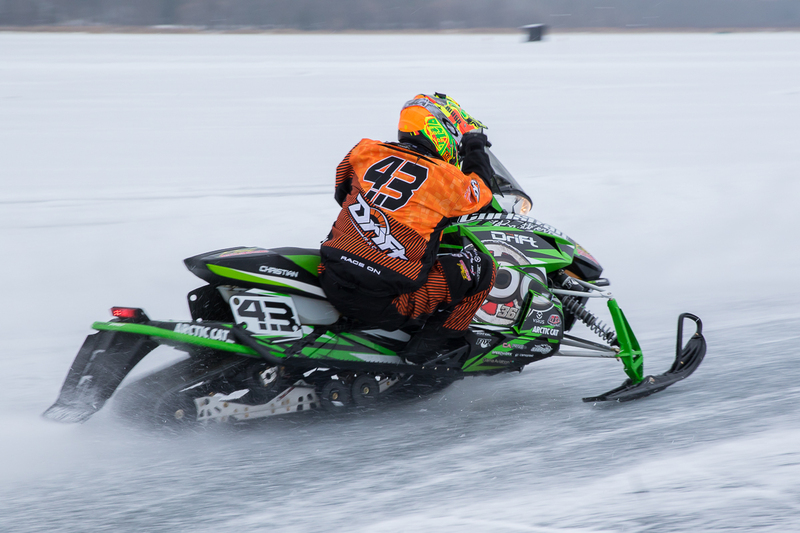 "We had the speed in Pro Open, our Arctic Cat was really laying down some fast laps," said Herfindahl. "It feels good to get a win right out of the gate. Our mechanics Hector Olson and Corey Berberich worked really hard to put me on a good sled. This is a great start to our season." New to the Christian Brothers Racing cross-country team this season, Ryan Trout is also in his rookie season as a Semi-Pro rider on the cross-country circuit. One of the most competitive classes in the sport, Trout faced 27 other riders in the 44-mile Semi-Pro 600 race and landed a 7th place finish. The Semi-Pro Improved class ran a 50-mile race and Trout scored a Top 5 there, coming in 5th overall. 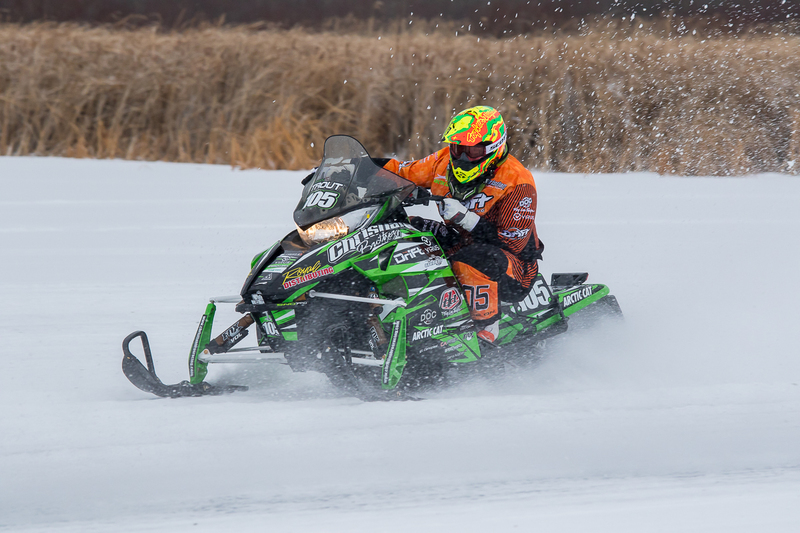 "Moving up to Semi-Pro is a big jump, but Christian Brothers Racing puts together a good Arctic Cat snowmobile so I know I have the equipment to win," said Trout. "I'm happy with how the weekend went. It's a long season and we can build off this." "I've raced cross-country before, but every time I come out here I?m really impressed with how fast every one of these guys are," said Christian. "I spend most of my time training and preparing for snocross, but it sure is fun to do some of this high-speed cross-country racing."